I don’t understand Copy too well. I have not used any other Cloud storage application. I need help in understanding this: I don’t understand why all my files go to an internal folder. I’m trying to get rid of many of my files and to free up space. If it just goes to another folder in my comp, whats the use of an online storage? Please correct me if I’m wrong. TY! Well, one of the main reasons you would like to use a Cloud Storage service is for backup outside your house. Anything you place on that folder (or with copy if you place shortcuts it will work too) will be uploaded to Copy servers, privately for your only access. This means, if…your hard drive breaks, you wont loose all your pictures or valuable files. Also its very useful to sync information between devices, you can access the files stored on your computer from your smartphone for example. 1) Off-site backups of My Documents. This means, I placed a shortcut of the “My Documents” folder on my Copy folder and I know that everything is almost instantly synced to the Copy Servers. This is my second level of backup, as my first level is a copy to another hard drive on my PC. I know that in case my house sets on fire, I will be able to recover my data. 2) I also use Copy to share files with family and friends, for example instead of sending a lot of pics over email, I just share the folder with the pics through Copy and send the link over email. They will be able to access the content and if they want sync it with their own copy folder in their computers they could. Imagine if you need to share a folder of a project for school/university/work with other people, you just place the files on that folder and after your friends install copy too and accept the folder share you all will be able to have automatic synchronization of the files anyone of you guys place in that folder. 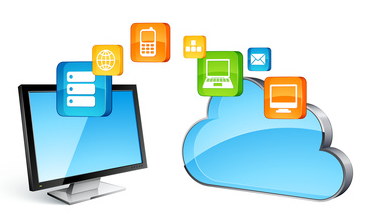 Everyday, more and more cloud storage services are being launched. For example, BitCasa went live this year and they offer something really interesting. After installing their software you get another drive icon on “Computer” (Windows). everything you place on that folder will be saved (uploaded) to BitCasa servers. If you decide to delete the local copy of those files you can, but I wouldn’t suggest to have your only copy of files on a virtual drive online (just in case something goes bad you know), of course unless they are not important files and you are willing to loose them. This would be also a valid method to store unlimited amount of information if you don’t have a big hard drive. Also remember if you loose internet connection, then you wont be able to access them. a) He will able to download the content of the folder you share on their computers or devices. b) If he uses BitCasa he will be able to add that folder to their own BitCasa drive. The bad part is that this folder wont get automatically updated when you add more files to it, you need to re-share the folder with your friend and that is when the things start to get messy, duplicates and so… The other party will always have access to the files you shared with them (when you sent them the link), this is called snapshot. You can check more about BitCasa on the review I wrote some months ago. They are getting better, but they still need to improve. On the meantime, depending on how much information and what you need maybe Copy is good for you, they went live recently but their service works very well. The downsides are that is doesn’t has client side encryption, (the info is encrypted on the server side though). But if you need to pay, its accessible around USD 10 for 250 GB of storage. Because they want to promote their service, you can invite all your friends by sending them your own Copy link, if they register, confirm their emails and install the sync client on their computers you will be credited with 5 GB of additional storage for your own account. This is great, and there is no limit (for now) to what amount of storage you can win, I already got more than 1100 GB! 🙂 Sweet! You can start with a 20 GB free account by registering and follow the steps through this link. And if you want to read a bit more about how I think the best service should be, check this post it will help you as a guide on what to look for. I hope this post answers your doubts, if it doesn’t don’t hesitate to comment below. Thanks! these points for Online storage service is informative thanks for all your help…. I’m also using Dropbox and Bitcasa, and eventually Copy. I have a paid account for Bitcasa and use it to archive all my important, private data, like photos and working files. I can’t afford it to let them burn, get stolen or whatever. So I need a safety storage. A server is like that. With Bitcasa’s infinite drive, I don’t need to make my mind up, which data I store and how much it will be. I just put all data in there, even my temp download to review later (mp3s, apps), and free up valuable SSD space – and it’s $99/year fixed. And their speed is excellent, by far the best I’ve ever tested. Support is also great. But I don’t what to force friends to sign-up for any service. So I use Dropbox to share files. It also offers better preview options for file sharing. Bitcasa just offers a download-link, while Dropbox delivers device-depending previews. It’s because Bitcasa is encrypted and can’t show files. I also use Dropbox to share files with mobile and apps. There’re just too many 3rd party apps that enhance Dropbox; it’s just great. But I won’t pay Dropbox another $99/year, and because I’m late with cloud storage, I just have 4,5 GB for free. But I need to have some folders in sync on my PCs. That’s the thing I can’t do with Bitcasa (yet). And my Dropbox space is a little bit too small for that task. I used to use SugarSync. It’s great, even better than Dropbox (feature-wise) but still to expensive as a stand-alone service (compared to Bitcasa), but it’s way too slow here in Germany. And their free 5 GB are nearly stuffed up by my sync-files. So, Copy comes in here. It offers 20 GB and is like Dropbox – but just larger and less widespread. But it’s the slowest of all. And I hesitate to use 3 service simultaneously. I really want to get rid of Copy because it’s just a filler for Dropbox and Bitcasa to me. If I had like 10 GB of Dropbox or sync with Bitcasa, I’ll dropped it instantly. Back to topic: Why I need cloud storage? For archiving/storage/backup, sharing/co-working with others and sending data between devices and apps (especially mobile) – instant access everywhere (“Can you show me the photos of your last holiday trip?”) is a nice benefit and cordially welcome. Hi Dogg, thanks for sharing your experience and how you use these services. I also wish I could rely on BitCasa only or just use a second one for a second level of offsite backup (I still dont feel comfortable with the idea of having the files in one place and that they will back them up for me). The problem is that Although the concept of Bitcasa is great, I think they are missing something very important, they should offer Dropbox/Copy/SugarSync (and many others) sync and sharing funcionalities to really catch people´s attention. I wrote about this to Tony (the CEO) at BitCasa and his answer was “Syncing is dead” I told me I do NOT agree. Syncing is what people need to feel safe, and choosing wether to store these files only on the cloud or not is the added value. As you said nowadays we are using SSD´s which are being accesible but not so accesible to have big size drives just for storage. I´ve been testing BitCasa since 4 months now, and I probably have the larget com and forth ticket talking with Joe from the second level support team. Still the Windows app is very instable, and it lacks a lot of information for example what is the app doing, what is being copied, no access to partial uploaded folders is a no go for me. The app hangs like hell, cant move the cache folder to another drive, and like this several things. -Dropbox: 16 GB for general stuff, documents, etc. I have several shared folders with friends and family here too. Bitcasa is nasty. After mirroring a copy, only abut 10% of the files are actually on the site. There is no right mouse menu option as claimed in the docs. And… you cannot delete files. So once it is on Bitcasa it is there forever.